With the offices of 911 Restoration of East Valley standing by 24/7/365, you can feel protected knowing that if you ever discover mold growing in your home, you can call the mold removal Higley professionals at any time to schedule a free home inspection. It is important to get the Gilbert fungus extraction crew to your home as soon as you can, that way we can check every nook and cranny of the property. Our experts are capable of arriving within 45 minutes to start saving your property from the effects of a mold outbreak too. 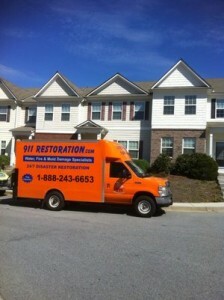 We have the most comprehensive mold damage restoration equipment in the industry that will let us completely rid every trace of fungus from your household. Call our mold removal Higley team with 911 Restoration of East Valley so we can immediately get started making your home a clean, beautiful living space again today! All types of mold thrive in warm temperatures, so by living in the hot climate of Higley, you’re more at risk of experiencing a mold infestation. Mold also needs moisture to grow, something that Arizona’s warm weather does not experience often. However, water damage can occur within your home from other reasons besides a rain storm, such as a ruptured washing machine hose, toilet overflow or faulty plumbing. 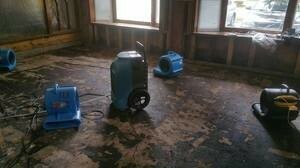 When mold is exposed to this moisture, it can then begin to expand. It flourishes best when it is living on organic materials such as wood, cotton, grease, food and dirt. As it continues to grow it can cause these organic substances to deteriorate, because they use them as a source of food. This is why mold puts the structure of your home at risk, because it can easily cause decomposition when left to grow on its own accord. By calling our mold removal Higley specialists with 911 Restoration of East Valley when you discover water damage in your home, you will reduce your chances if a mold invasion, so give us a shout today! The Higley mold mitigation specialists know the effects that mold spores can have on those who regularly inhale them, which is why they take mold remediation so seriously. Once we determine that there is in fact mold in the home, we will do whatever it takes to restore the household to pristine condition. This may include replacing dry wall, using a professional-grade vacuuming system and setting up vapor barriers. Call our mold removal Higley professionals with 911 Restoration of East Valley and you can confidently trust that we will do whatever it takes to keep you and your family safe today!